Walter Reed National Military Medical Center, also known as the "Nation’s Hospital," is one of the largest military medical centers in the country. It takes approximately 7,000 in staff to keep the facility running smoothly while providing excellent medical care, so you're not alone if your military family is headed there on orders. After serving thousands of patients for over 100 years in the heart of D.C., the hospital made a big change and moved to its location in Bethesda, Maryland, a few miles north of the capital. But this is great news for you. Bethesda is a bedroom community outside D.C. and is considered one of the wealthiest and educated cities in America, making this area in Maryland a great place to work. And with this being your new office, you have a variety of places to live. 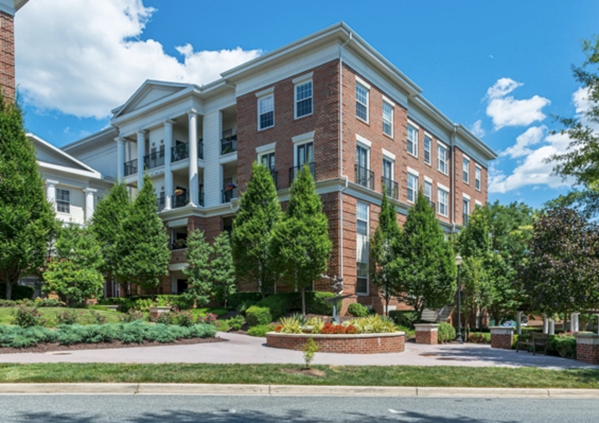 For starters, there’s Bethesda of course, but if you don’t mind commuting, there are a couple towns further north that you might find slightly more affordable and a little quieter, like Gaithersburg and Germantown. 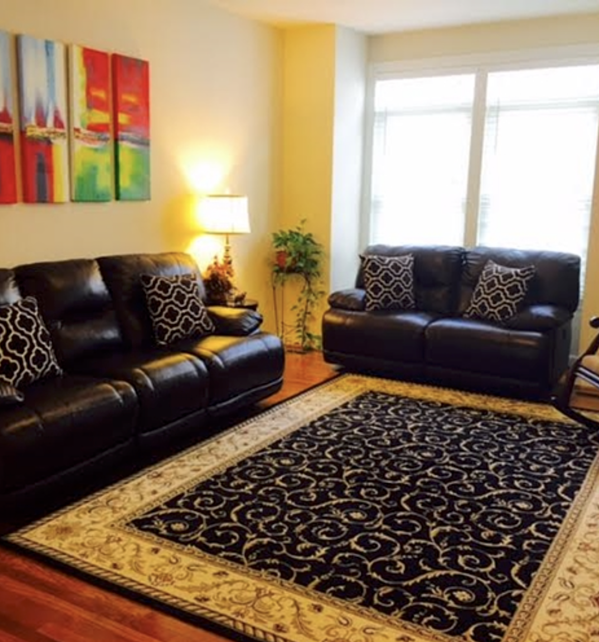 This two-bedroom, two-bathroom condo in Gaithersburg may be the perfect fit for you if you're single or have a small family. 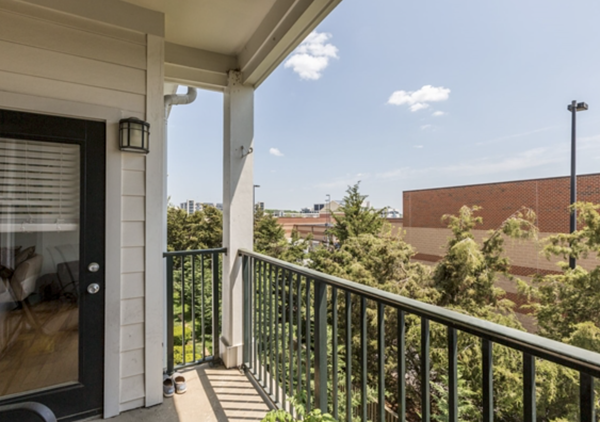 Location: Not only is the condo in Gaithersburg about 20 minutes north of Walter Reed, but it’s situated less than a quarter mile from shopping and restaurants—what’s more convenient than that? Aesthetics: From its stunning brick exterior to its bright, airy interior and balcony, this property is easy on the eyes, to say the very least. 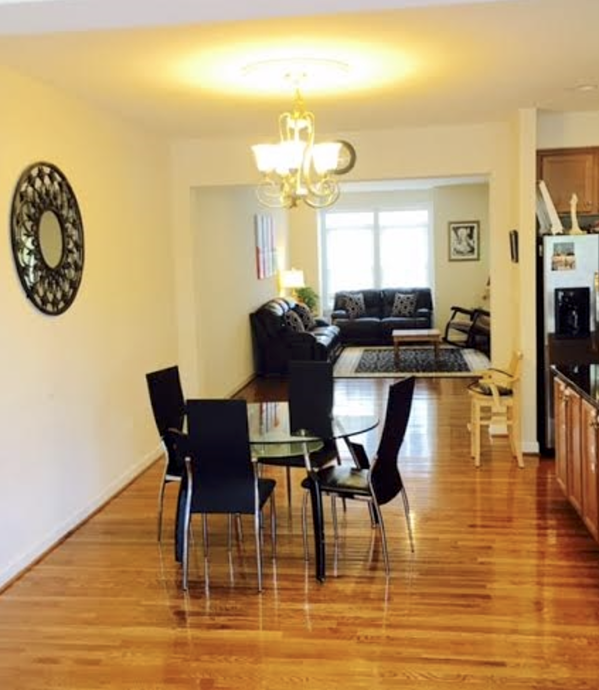 Layout: The condo features an open floor plan, making the space feel bigger, brighter, and more convenient. 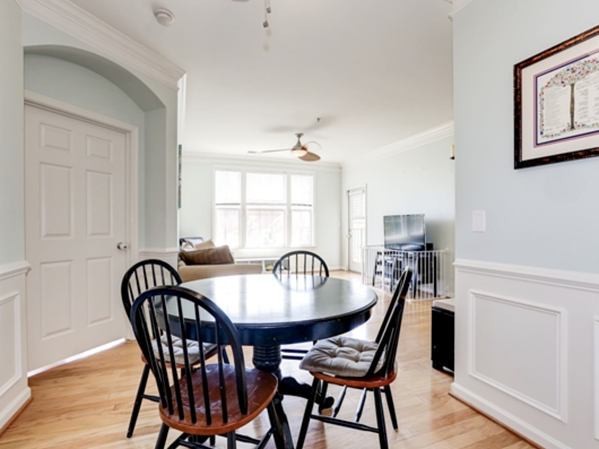 Whether you like to host and interact with your guests from the kitchen or you need to keep an eye on your littles to keep them safe, this open floor plan is the perfect solution. Kitchen: Love the white kitchen trend? This home does it right with its white cabinets, white backsplash, light colored granite countertops, and stainless steel appliances. 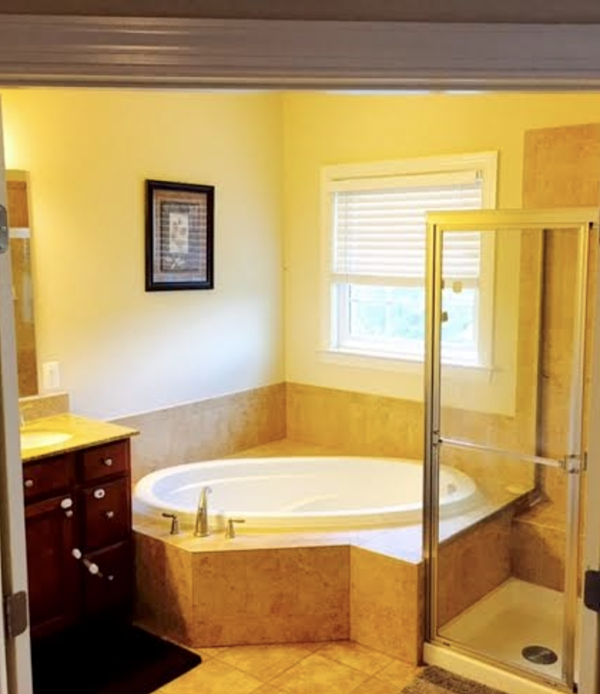 Master Suite: Not only do you get one master bedroom with an en suite bathroom, you get two! Amenities: Buying a home means more than buying a piece of property; it’s an investment in the community. Along with its general beauty, this residential area offers resort style amenities to include a pool, fitness center, library, and sauna. Can you imagine coming home after a long day at work to unwind in the sauna? Seems to good to be true. Extras: Included with this property are two parking spots and one storage unit! Not ready to buy? 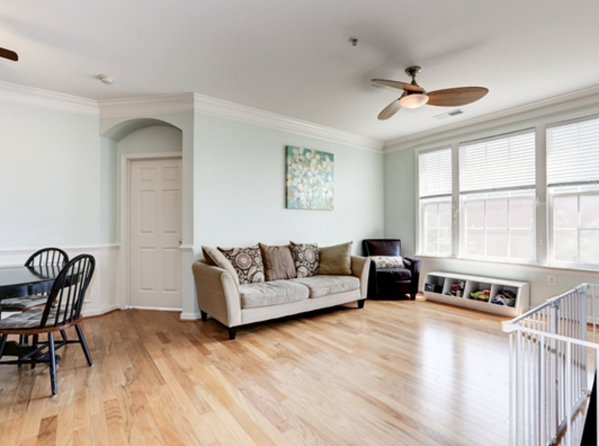 This Germantown four-bedroom, two-and-a-half-bathroom townhome might be the perfect housing option for you. 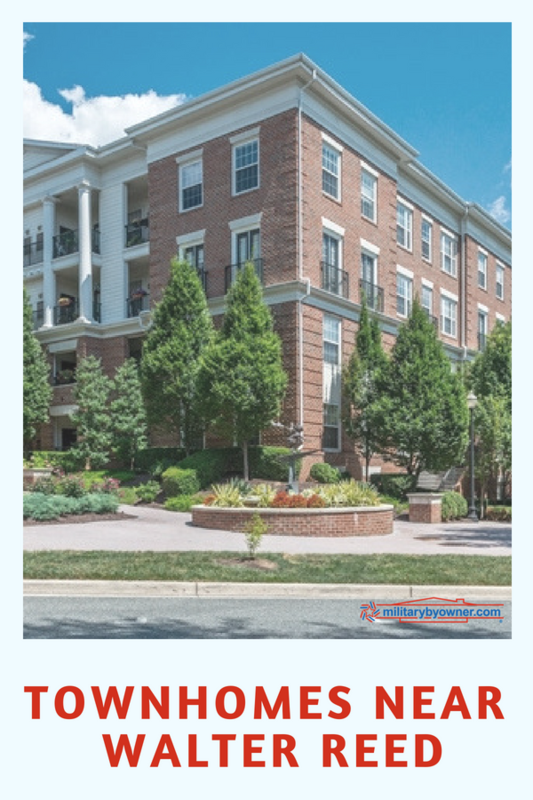 Location: Germantown is located a few miles further north of Gaithersburg which puts you about 30 minutes away from Walter Reed. 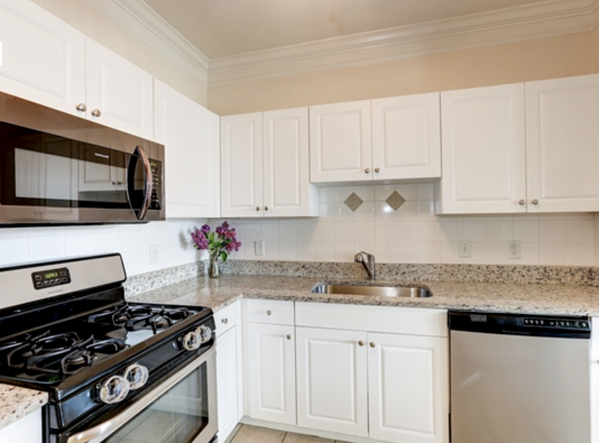 Plus, it’s near Seneca Park, walking trails, and the Kentlands and Rio Crown shopping centers! Layout: This townhome also features an open floor plan, as well as aa walk-in basement with an additional bedroom and bathroom. 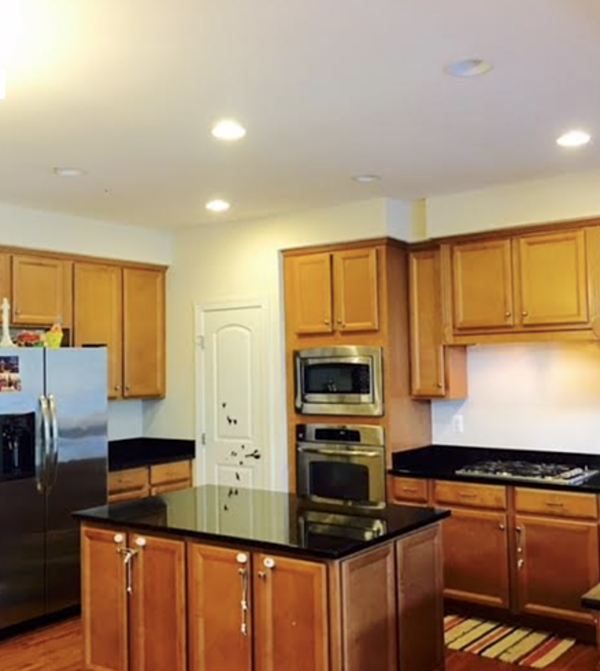 Kitchen: Preparing meals will no longer feel like a chore in this kitchen with its beautiful cabinets, granite countertops, gas cooktop, double oven, and banquet size island. Master Suite: You truly get a suite with this master bedroom. With its own sitting room, walk-in closet, and bathroom with separate shower and tub, this space will become your personal oasis. Bonus: The property has a two-car garage! Excited to get house hunting? Click below to see even more listings in the area!